What’s a girl to do when her family is desperate for pancakes in the morning when they wake up, and she doesn’t have any pancake mix in the house? 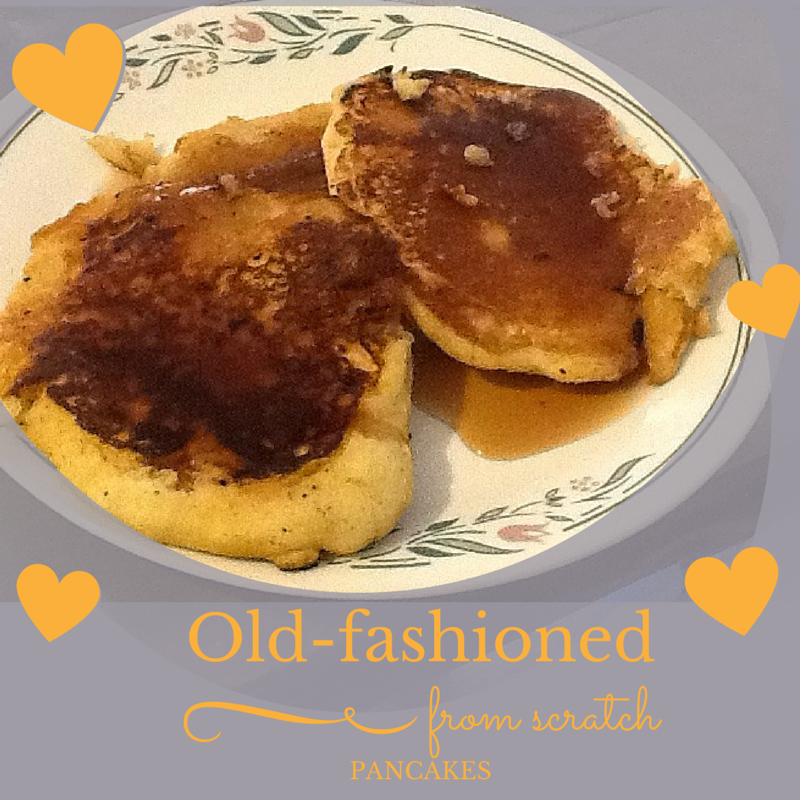 Why she turns to the old faithfuls…the recipes her grandmothers and great-grandmothers used to create some of the best pancakes ever. This happens to me frequently because we’re a family of “pancake monsters,” but honestly, I don’t ever buy pancake mix at the store anymore. I just make sure I always have these ingredients on hand, so I can whip up a batch of homemade pancake batter from scratch. It’s a lot easier than I ever thought possible, and it’s way better than any store brand. Just try this recipe, and I bet you’ll never want to make pancakes from an instant mix again! This is an easy, almost foolproof recipe that will have your family enjoying delicious, old-fashioned pancakes just like Grandma used to make them in no time at all. No instant pancake mix needed! Dig a well in the center of the dry mixture. Pour in the milk, egg, vanilla, and melted butter. Spoon the batter into the frying pan, one “pancake” at a time. Brown on both sides (about 30-60 seconds per side).